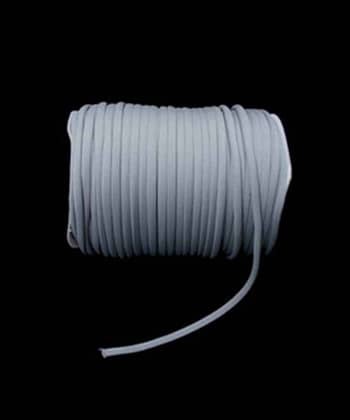 Note: Flowcord is custom made and comes with splices along the length of our spools. If you are ordering more than 20', please note that we cannot guarantee a continuous length of unbroken cord. Flowcord marks a milestone in the modern poi spinning world. All other existing cord is designed for some other use (parachute, skate laces, lanyards) and being spinner ourselves, the options often fell short, especially in terms of comfort, smoothness and give. We consulted with top spinners from around the world, tested many different options with spinners who came through the Bay Area, listened to our customers and fellow flow artists who wanted something better, and out of that multi-year inclusive process, flowcord was born. You will need 2 pairs (4 o-rings) of welded o-rings for installing your leashes. Note: measurements are approximate as there is some natural variation and diameter changes slightly when the cord stretches.